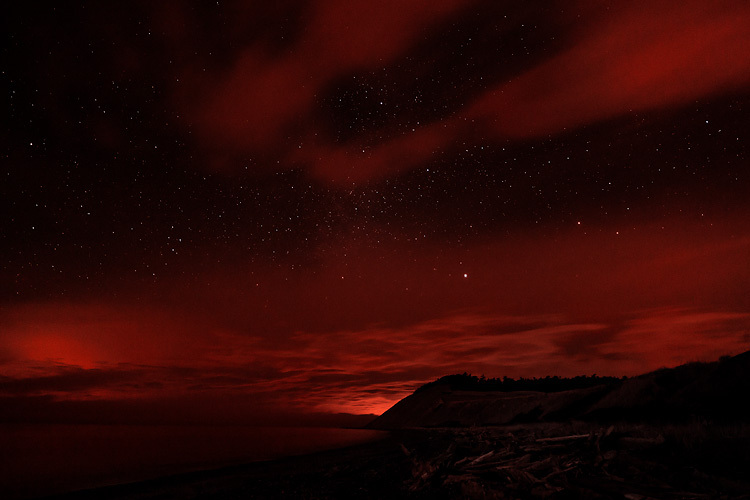 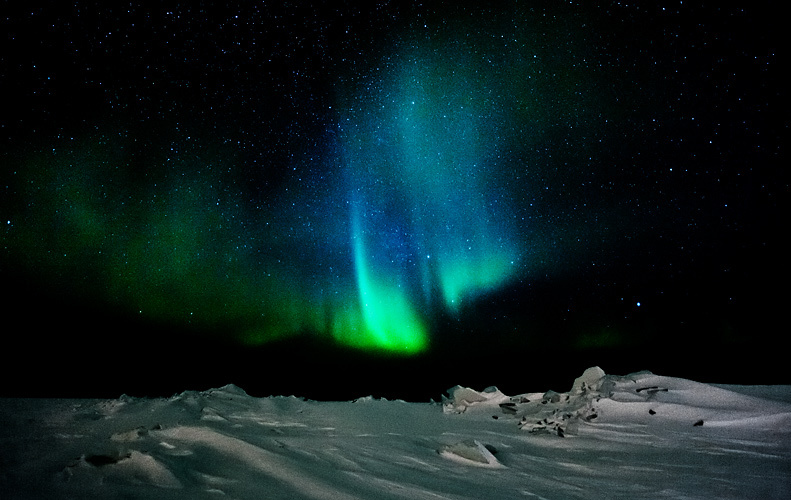 Stars shine through light fog and clouds that are underlit by the nearby city lights. 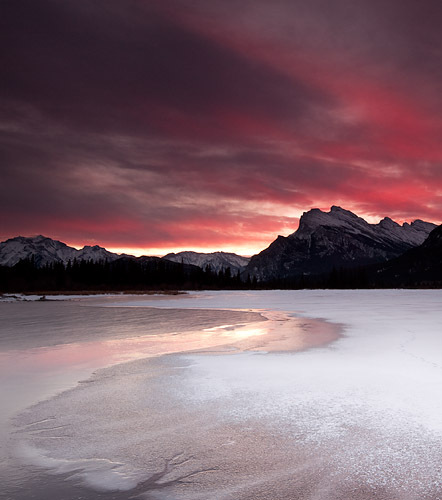 Red light at sunrise illuminates the clouds around Mt. 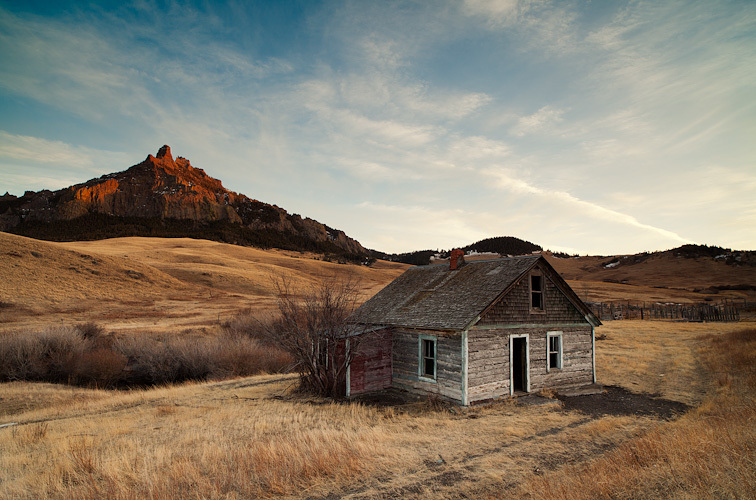 Rundle in Alberta, Canada. 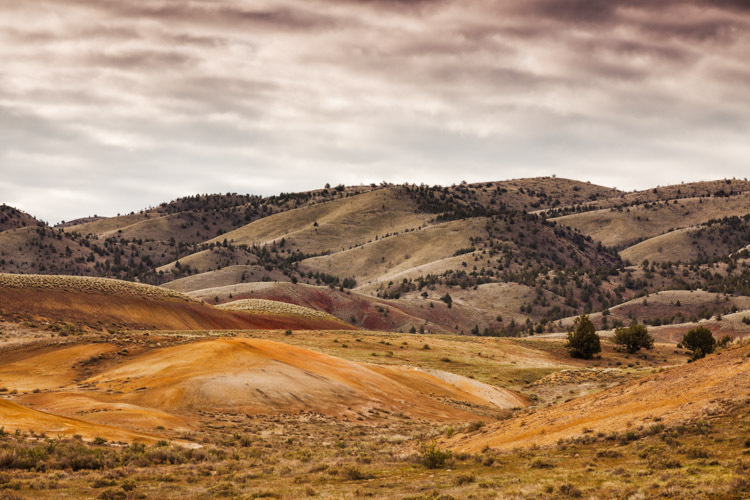 Light rain clouds form over the Painted Hills section of the John Day Fossil Beds National Monument in Wheeler County, Oregon. 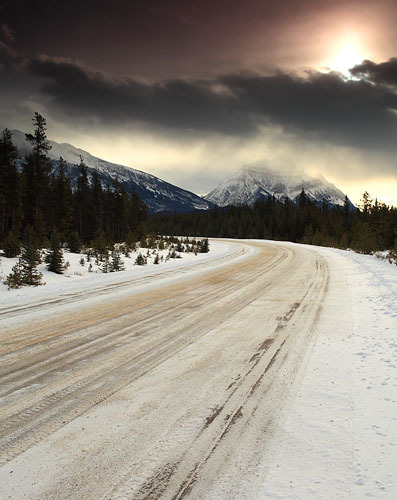 Heavy snow obscures the sun and mountains on a mountain road. 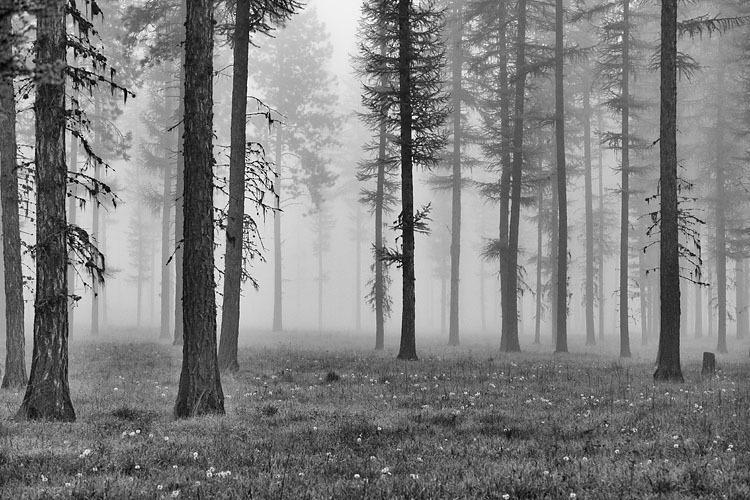 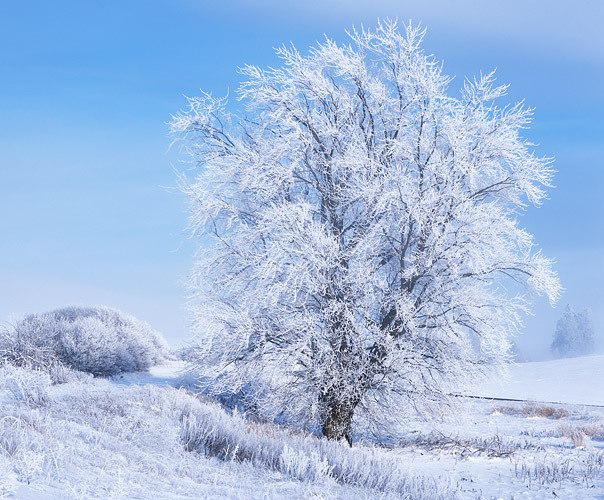 A frost-covered tree sits alone near a road in the Palouse of Eastern Washington State. 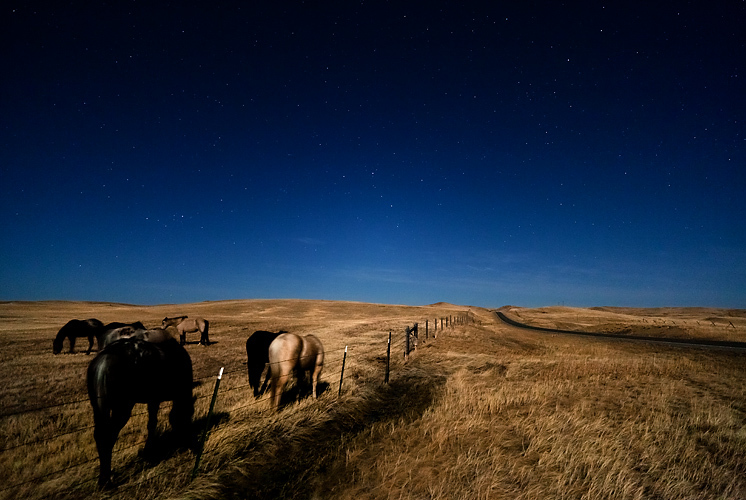 A moonlit gathering of horses in central Montana. 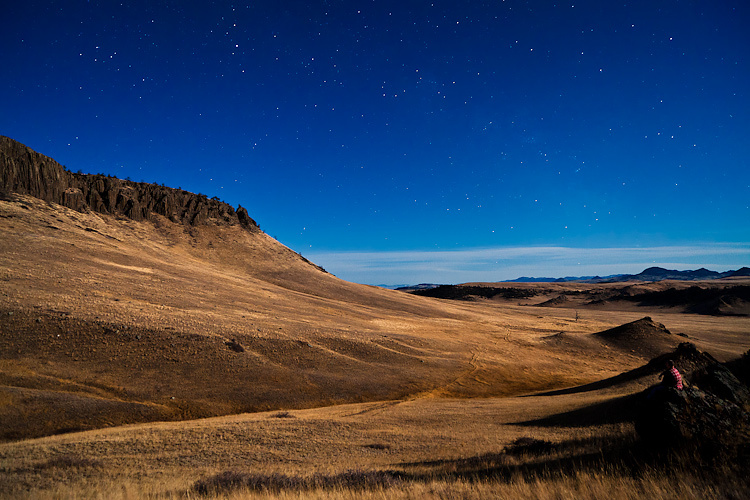 An adult male sits on a rocky outcropping facing Central Montana's Crown Butte in quiet contemplation on a clear night filled with stars. 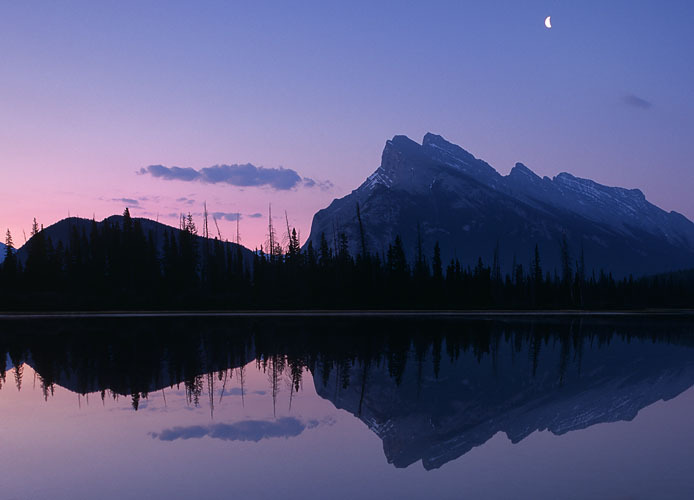 A quarter moon shines high above Mount Rundle. 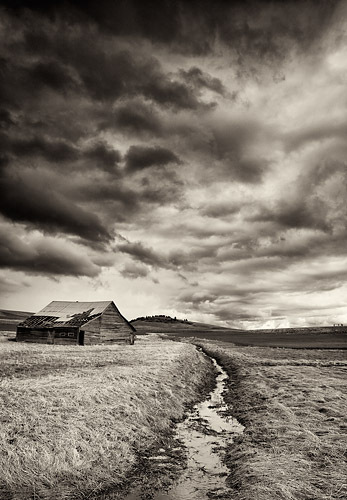 Stormclouds loom above an aging barn along a stream in a remote part of the Palouse farmland in Eastern Washington. 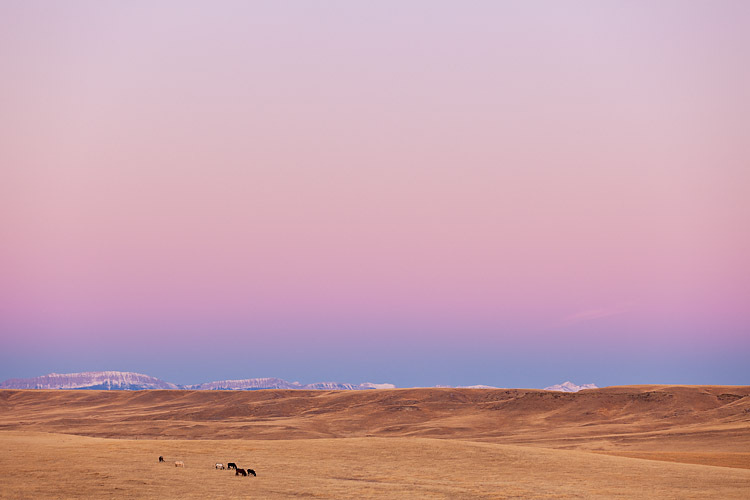 Distant horses graze in the pasture in Cascade County, Montana. 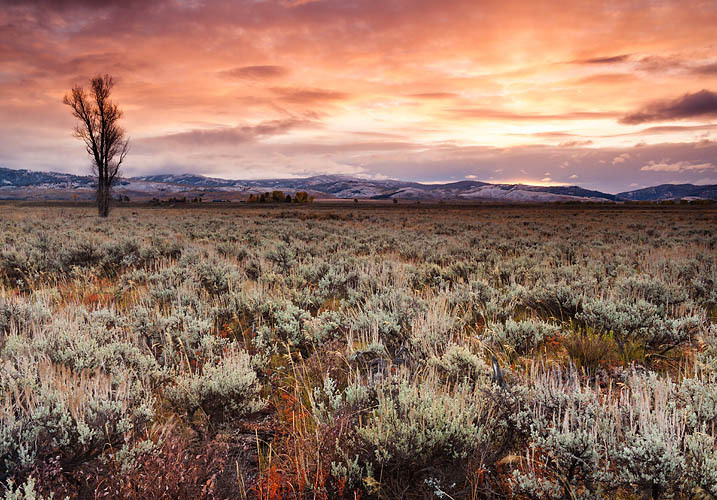 A Wyoming sunrise illuminates a single tree and the sagebrush in warm morning light. 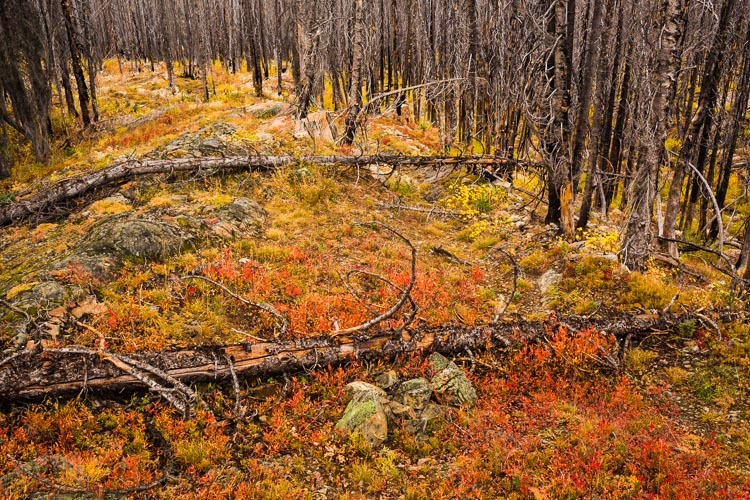 Colorful understory grows underneath a forest of burned trees at Hart's Pass, Washington State. 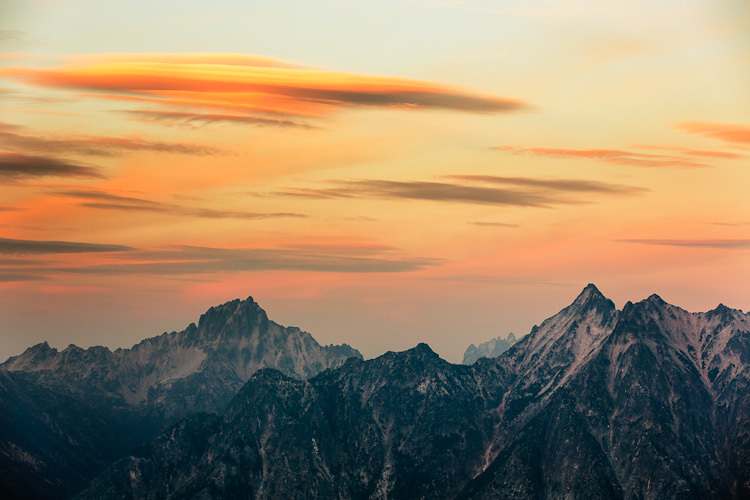 Lenticular clouds form during sunset over Golden Horn and Tower Mountain in Washington's North Cascade mountain range. 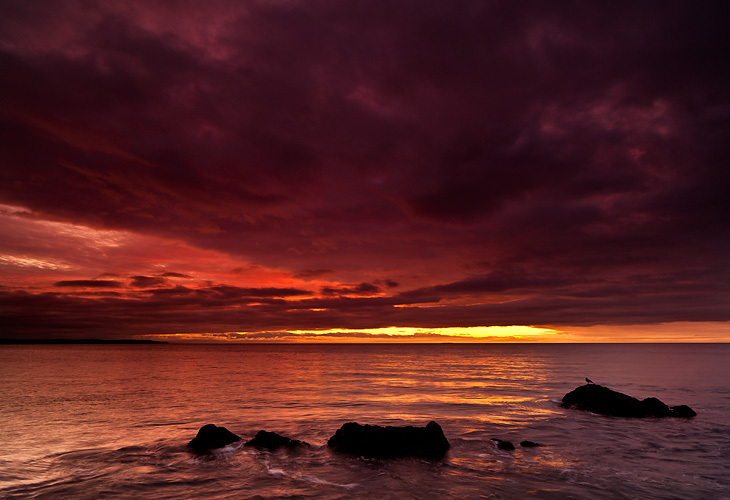 A bright sunset seen from the shore lights surrounding rocks. 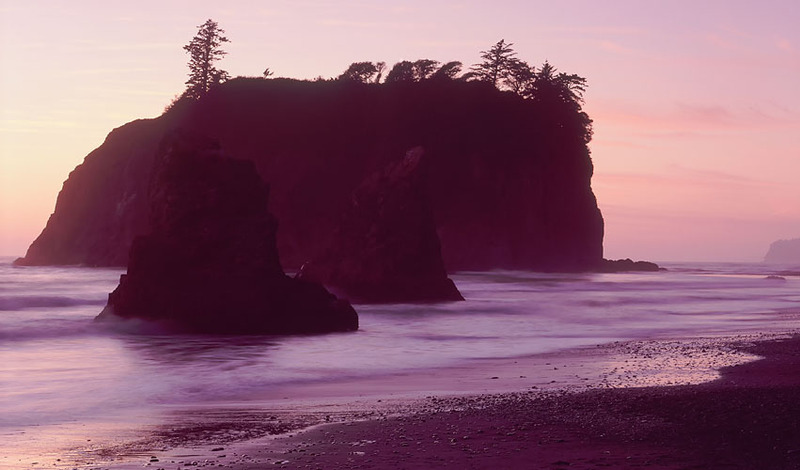 Morning sunlight shines through the rocks on Ruby Beach, Washington. 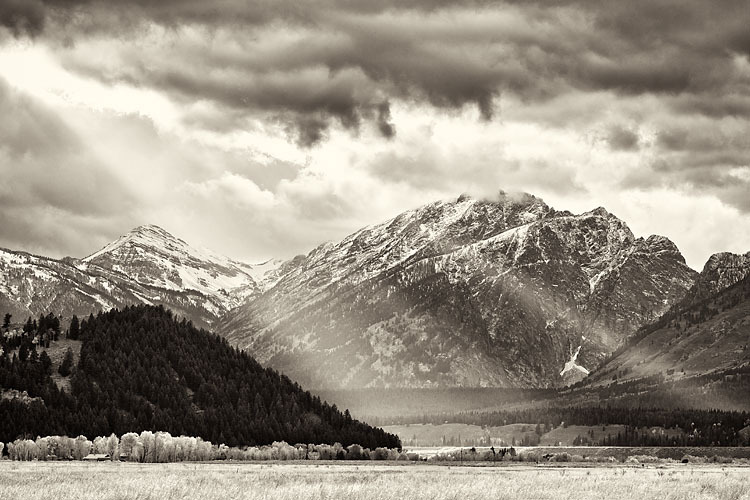 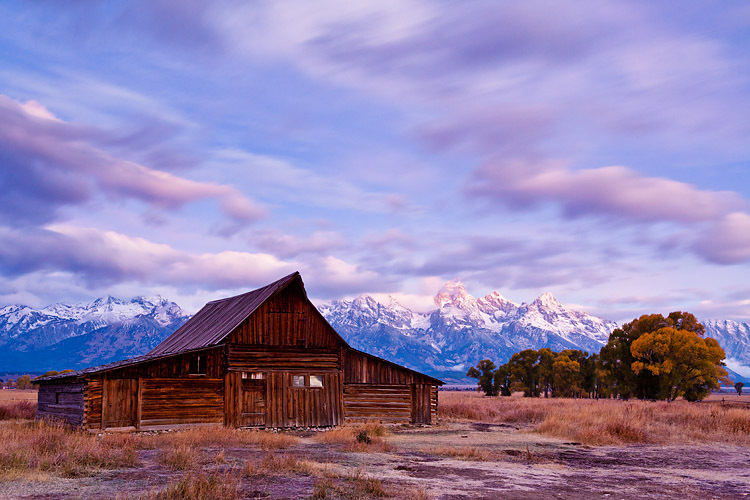 Bright shafts of light penetrate the cloud layer and add spotlighting to the scene in Grand Teton National Park. 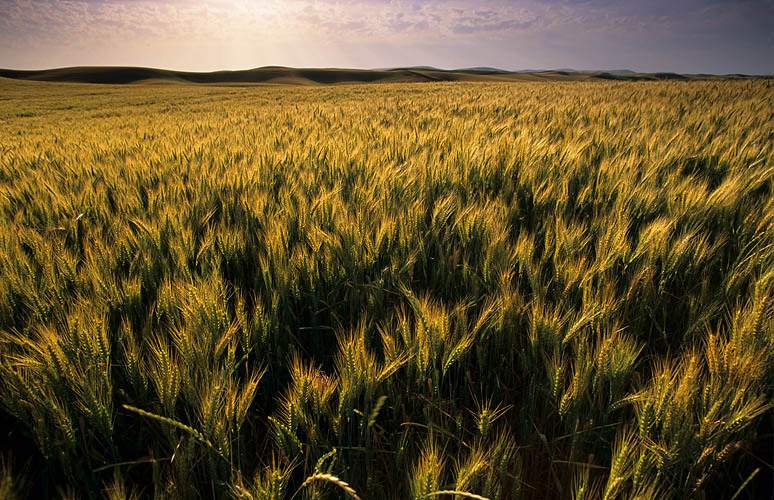 Golden-tipped wheat is lit by a setting sun. 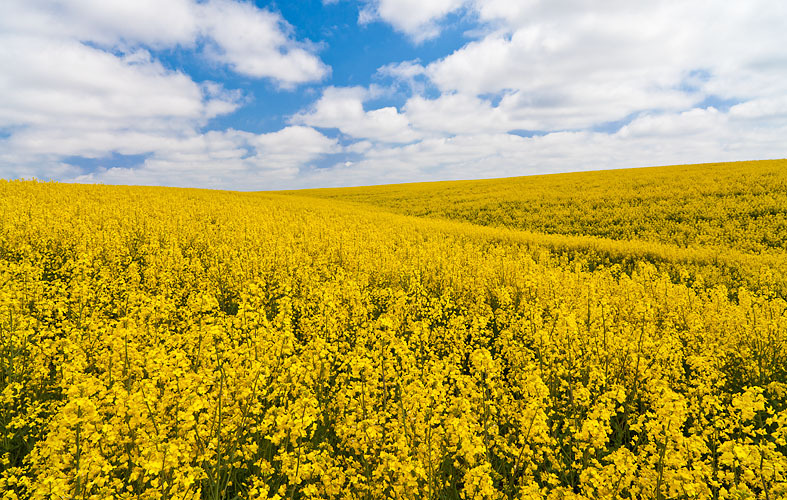 Bright yellow Canola plants dominate the landscape in a field in Eastern Washington State. 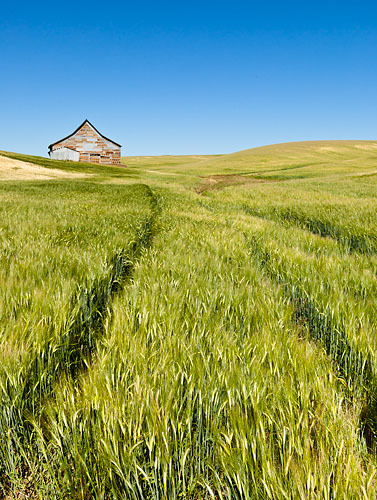 Tracks through a wheat field lead to an old barn in the Palouse. 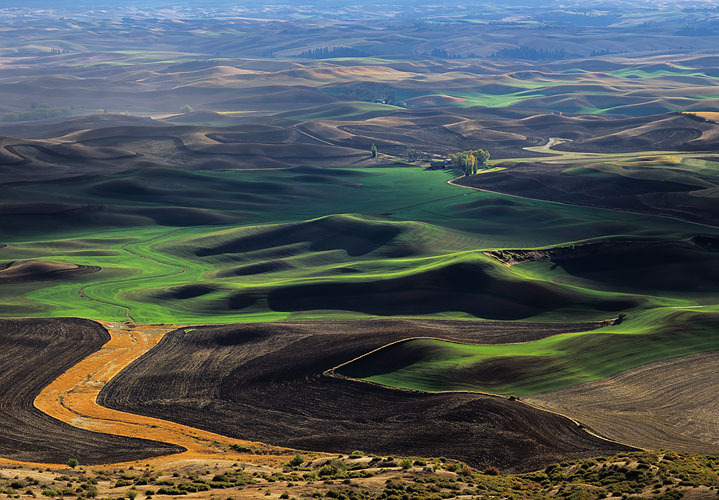 Sunlit farmland hilltops in the Palouse of Eastern Washington. 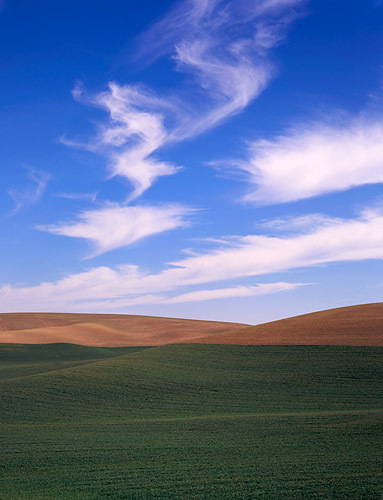 Wispy clouds float over a remote field in the Palouse area of Eastern Washington State. 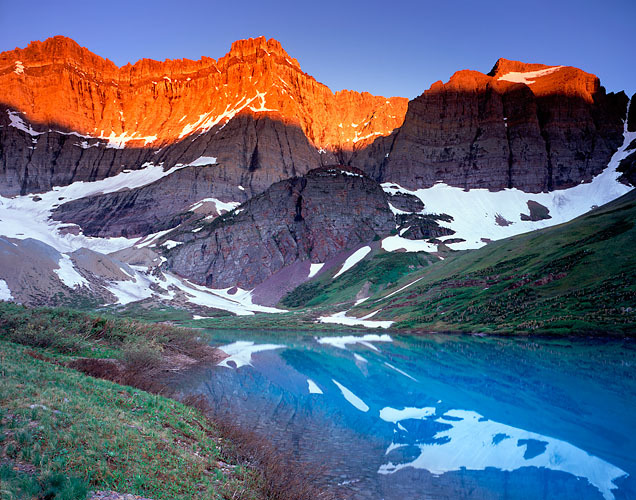 A warm band of light illuminates Mount Siyeh from the shore of Cracker Lake in Montana. 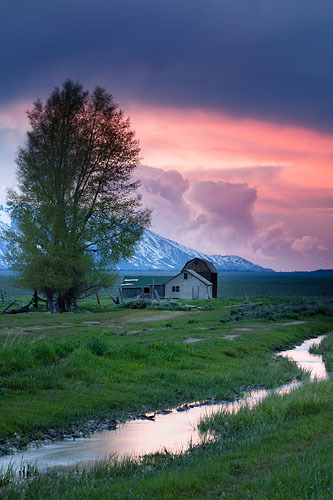 A setting sun bathes the clouds in pink and purple light at sunset at this old farm. 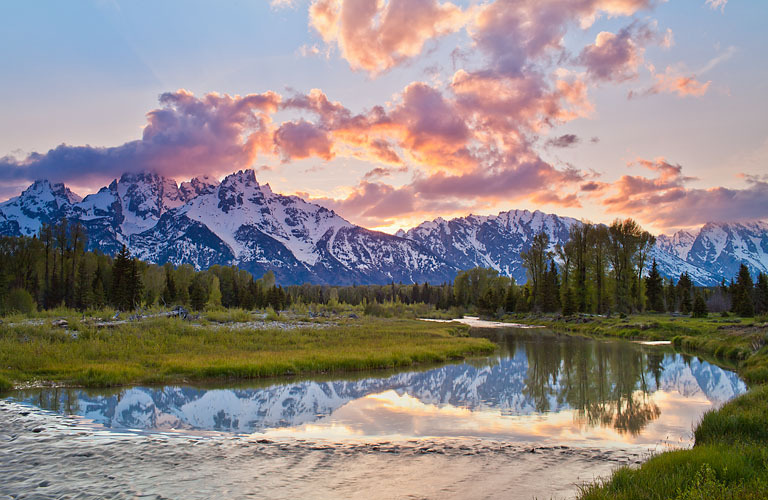 Orange and purple light scatters on the clouds over the Tetons during sunset. 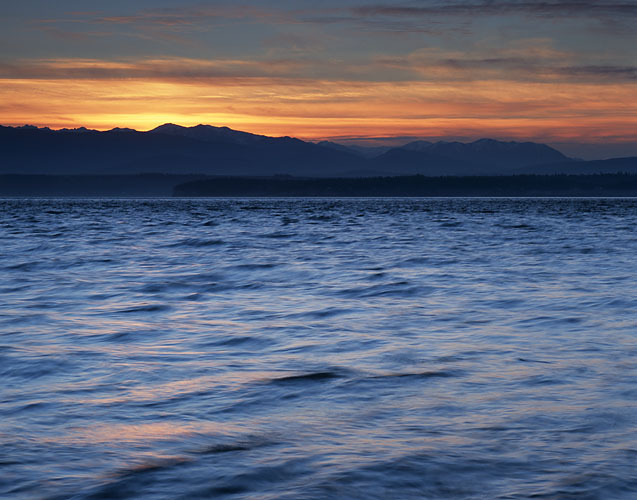 The sun sets behind the Olympic Mountain range. 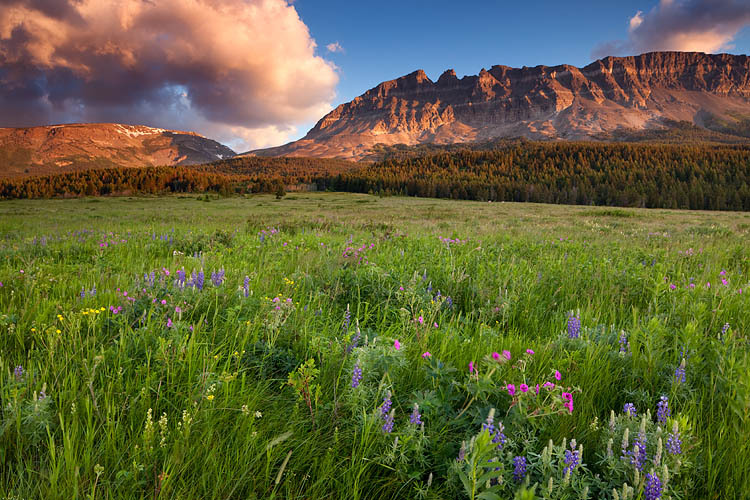 Wildflowers blow in a strong breeze in a large field. 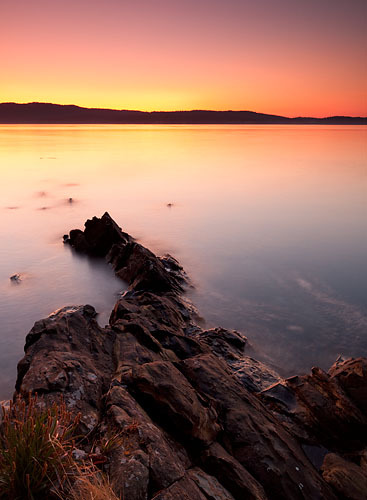 A single seagull sits on a rock during a sunset seen from the shore of Whidbey Island, Washington State.